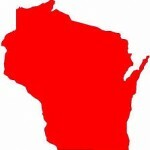 Whether you are looking to start, relocate or expand your business in Wisconsin, you will find the solid infrastructure, the skilled workforce, and the business-friendly policies that give you the edge to compete nationally and globally. With their leadership in emerging and established industries, their advancements in R&D, and their certified business development-ready commercial sites, Wisconsin is business ready. Whether it’s to startup, operate or expand a business in Minnesota, it is not a single decision but a series of them, each one an important step on the road to a successful launch. Managing a business takes knowledge, discipline, problem-solving skills, determination and stamina. Economy. Industry. Workforce. Incentives. 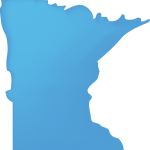 See why Minnesota is the best place for your business development expansion or relocation. Iowa has a robust database of sites and locations for companies looking to expand or relocate. 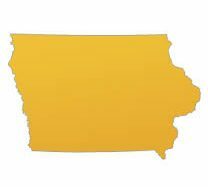 If you think Iowa is about corn, you’re right. It’s their gold, their oil…it helps fuel an economy that’s robust and growing. If, however, you think Iowa is all agriculture, you’re wrong. Their agronomic ecosystem has spawned a diverse economy that bucks negative national and international trends. Much of what you know about Iowa is true. It’s what you don’t know about Iowa that will put them in contention for your business development. Entrepreneurs see an economy that breeds innovation—and a state that is ready to provide the assistance startups need to succeed. GIS Planning’s ZoomProspector Enterprise is a Software as a Service (SaaS) web application providing comprehensive information to help new, expanding, and relocating businesses find optimal locations for success in prospective communities. Using Geographic Information System (GIS) Software, their website tools provide access to in-depth information, including powerful real estate search, demographic analysis, industry reports, and dynamic mapping tools. Use this tool to learn more about the communities in The 7 Rivers Alliance region.